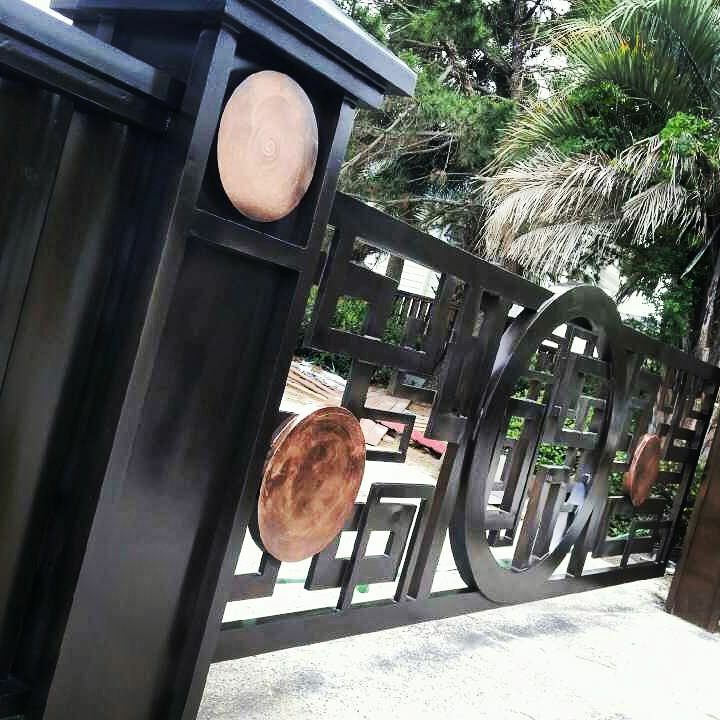 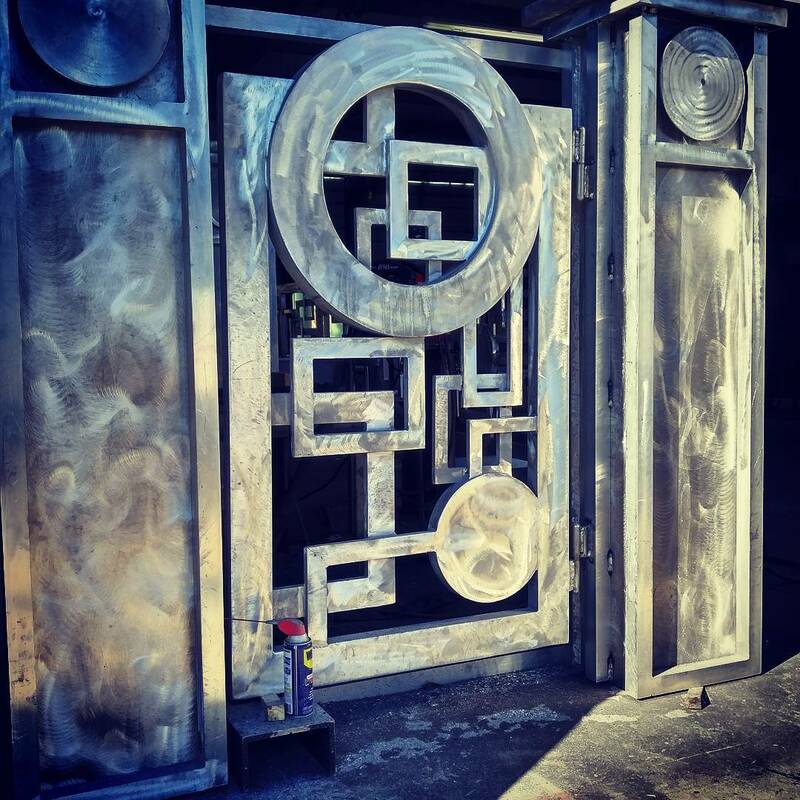 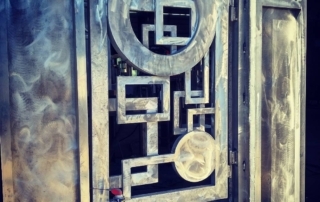 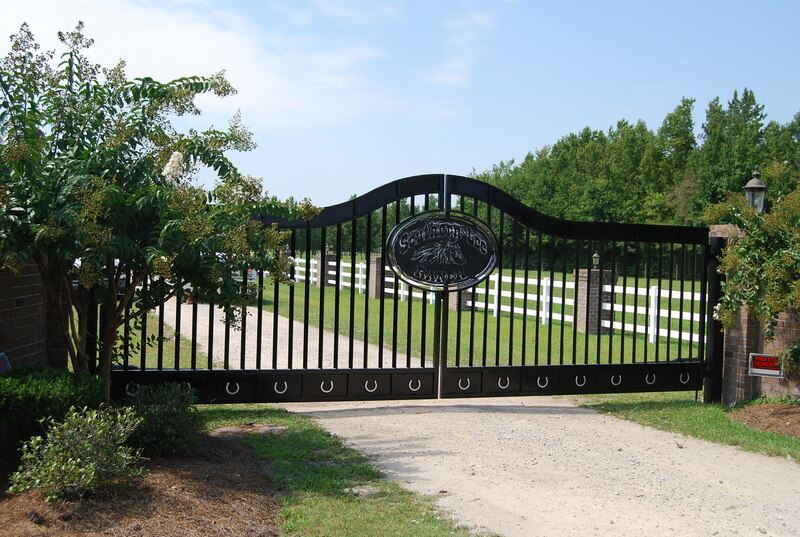 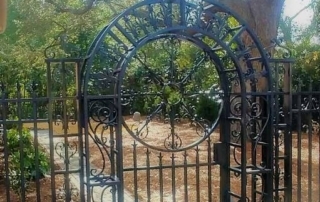 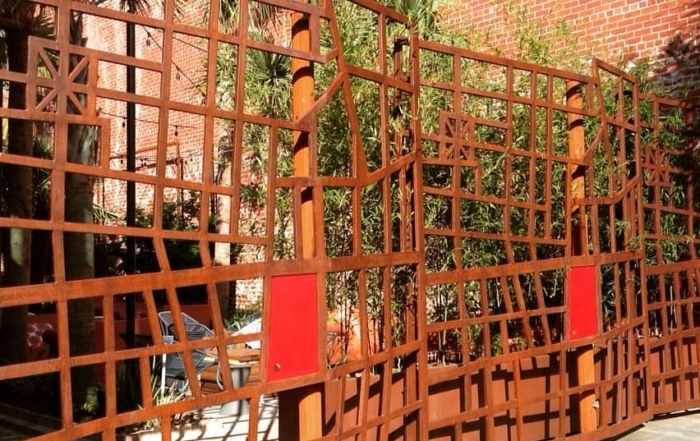 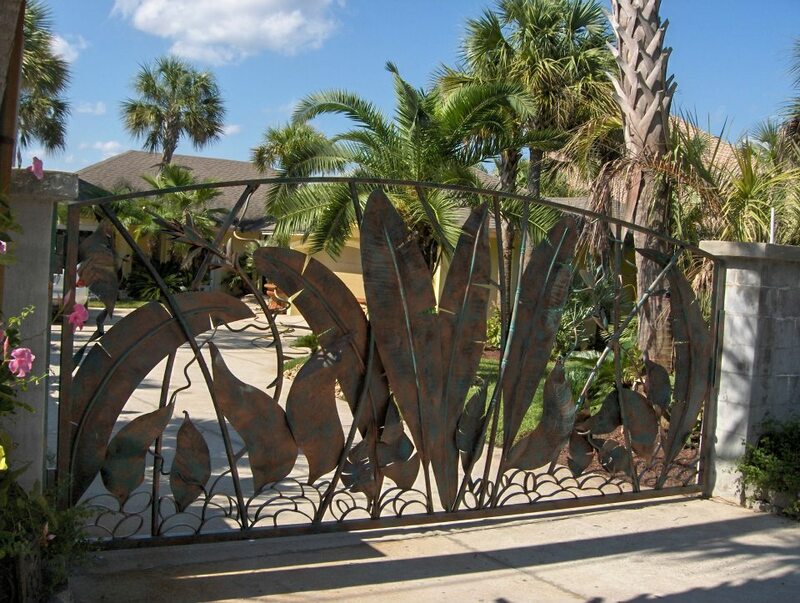 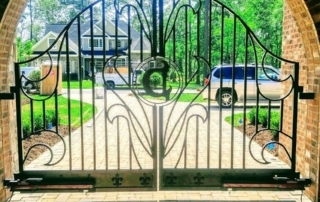 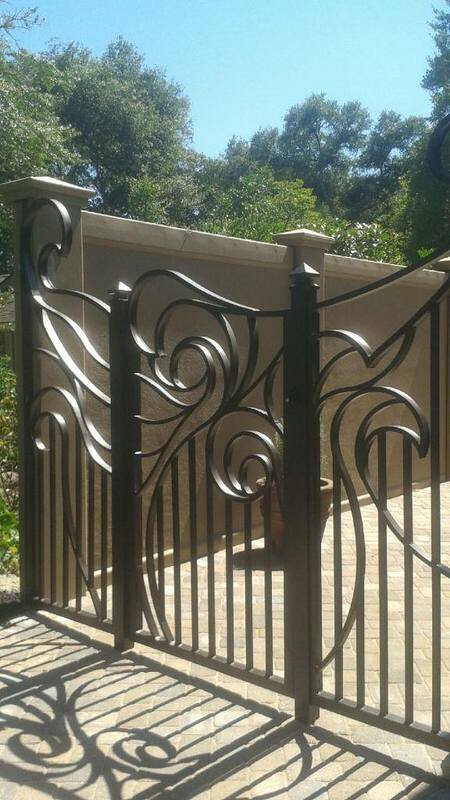 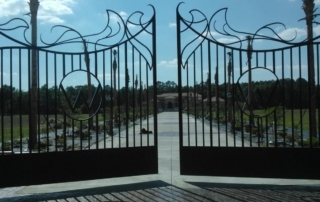 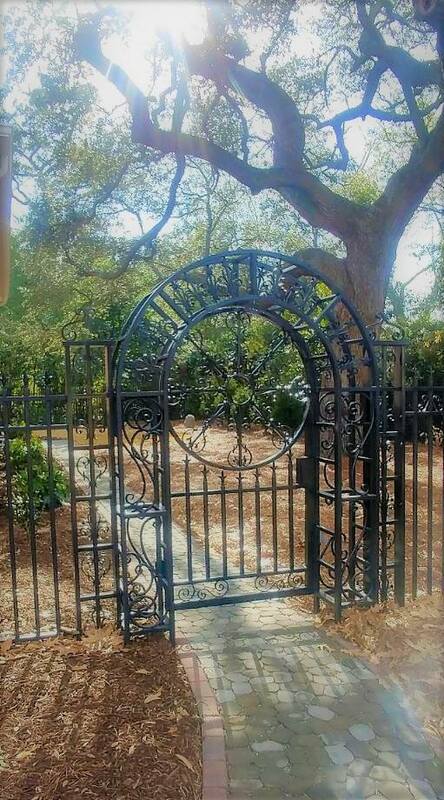 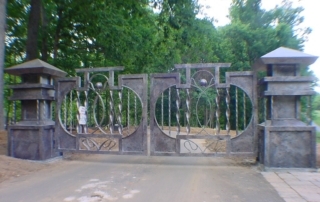 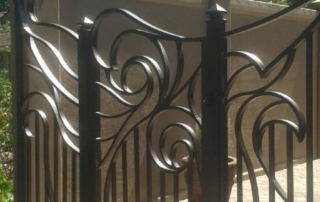 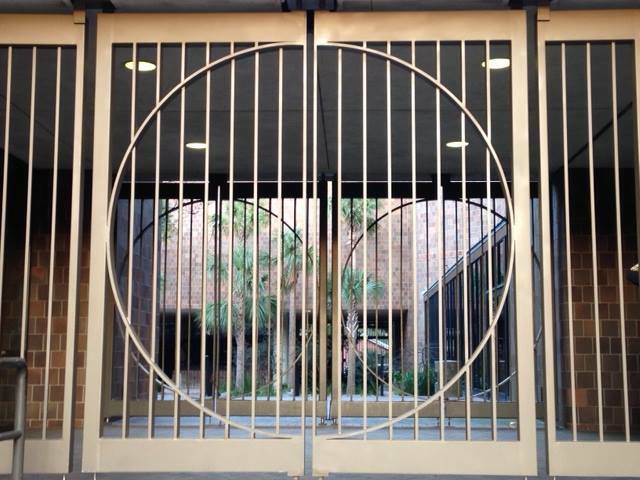 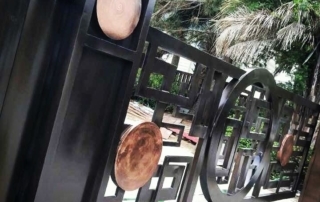 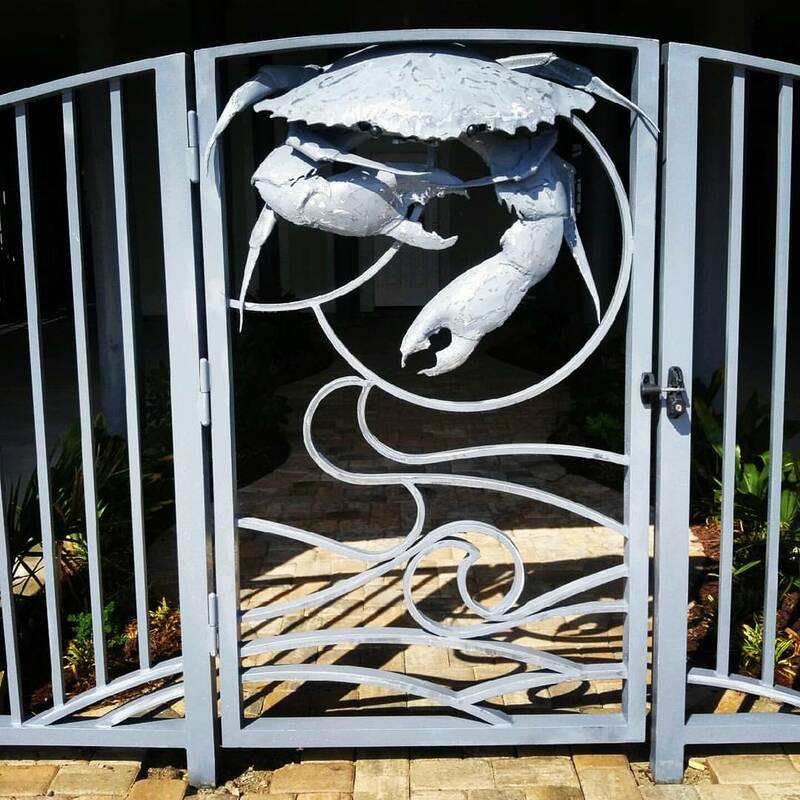 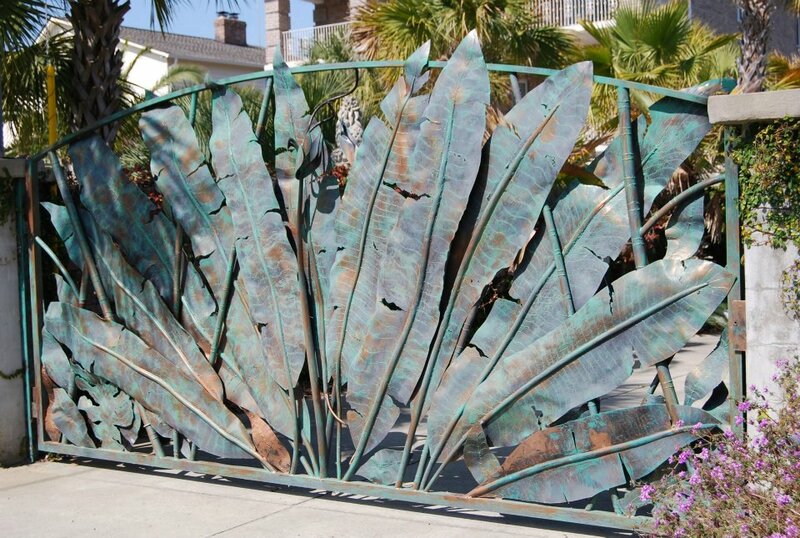 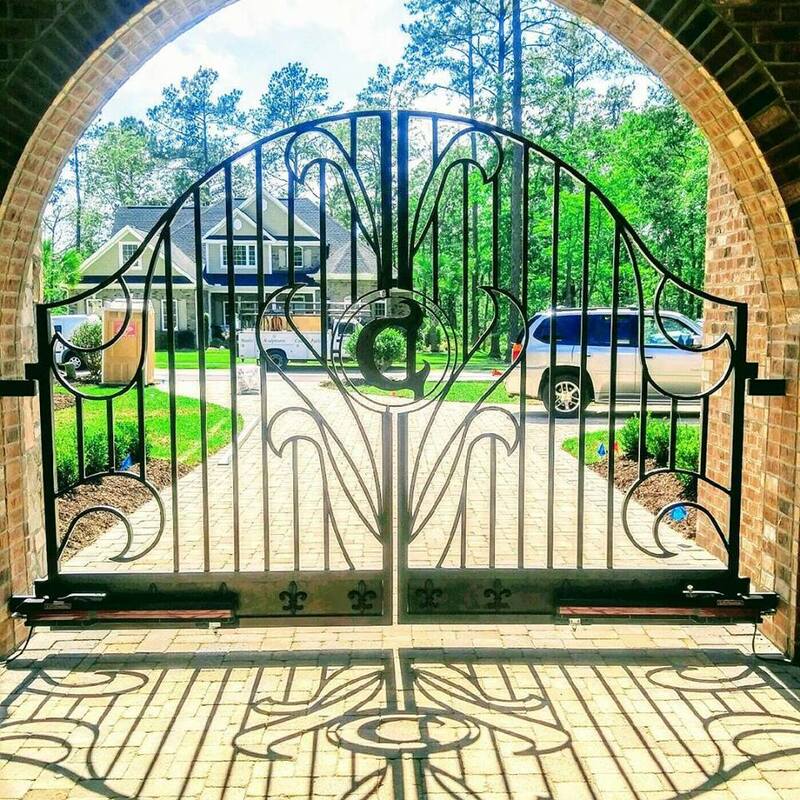 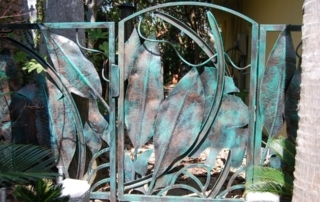 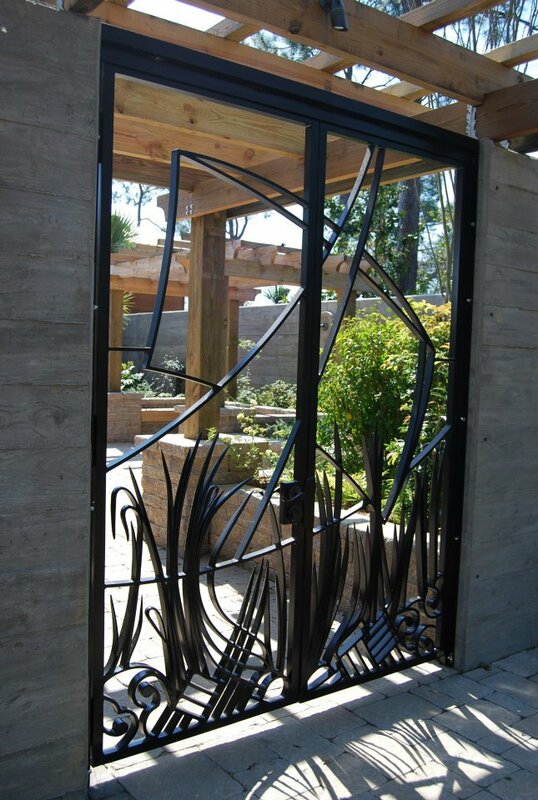 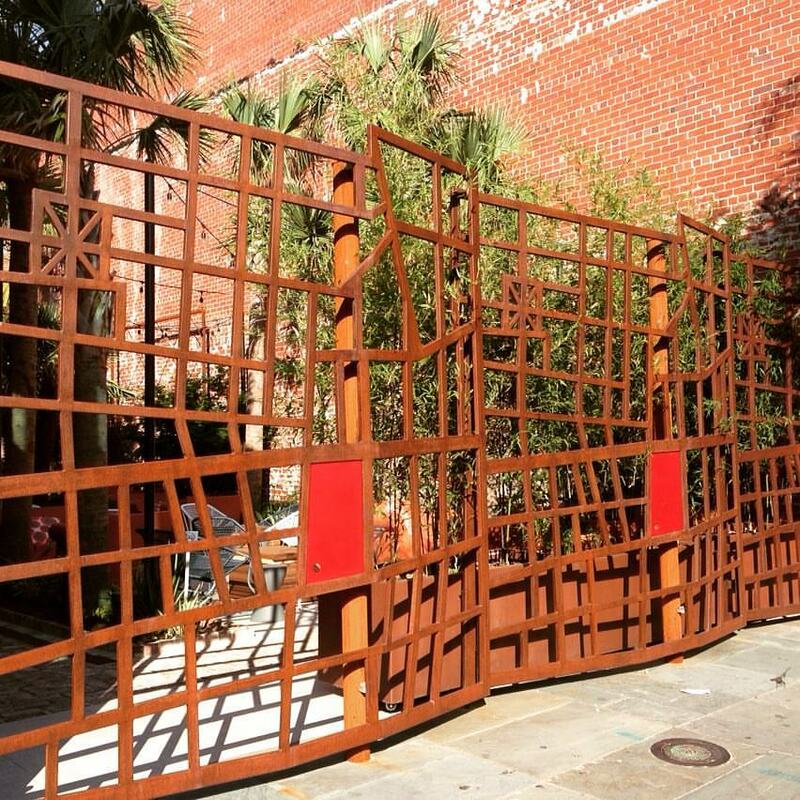 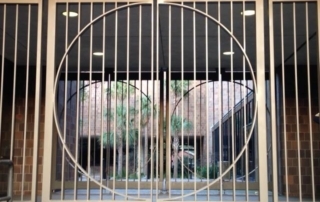 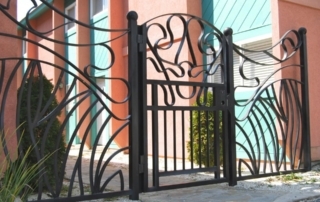 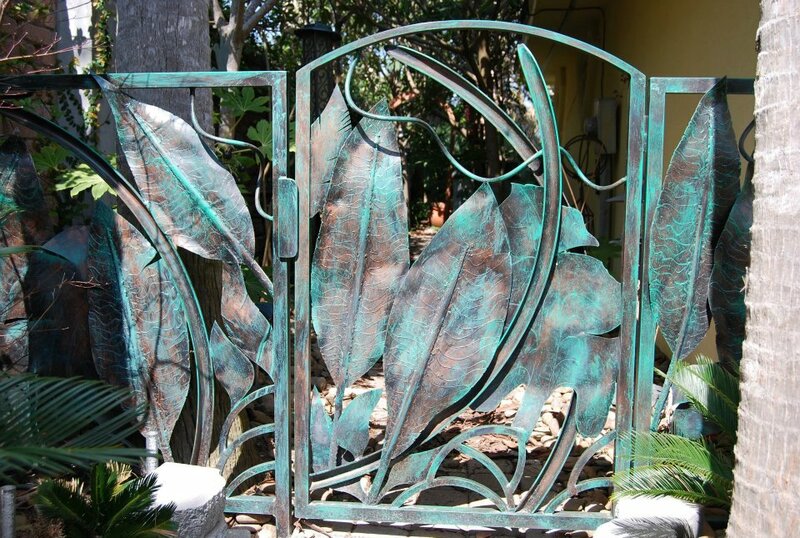 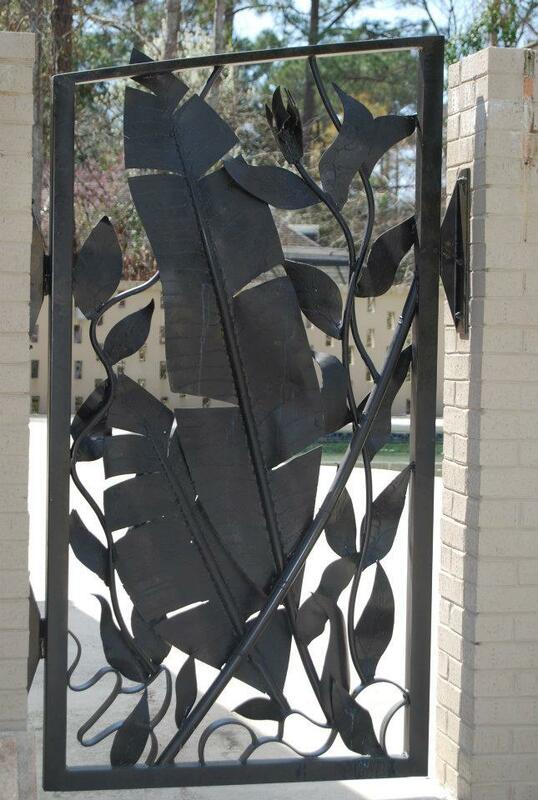 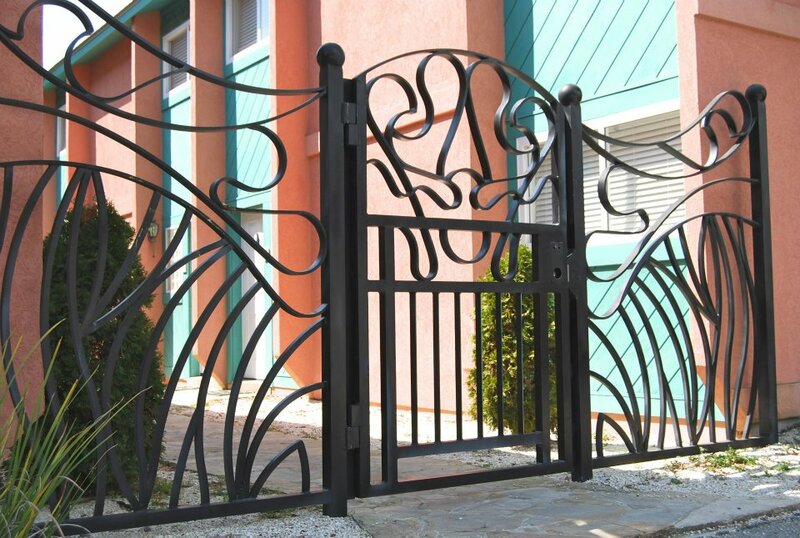 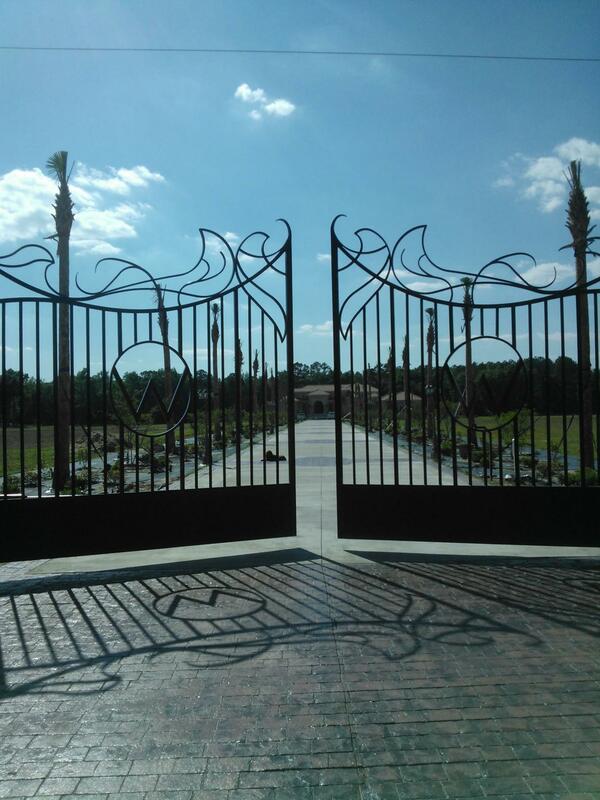 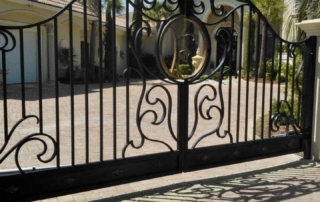 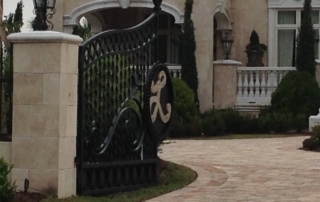 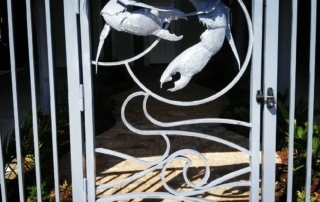 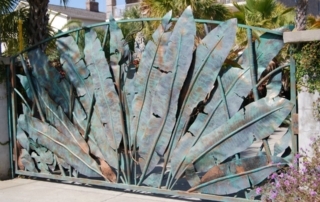 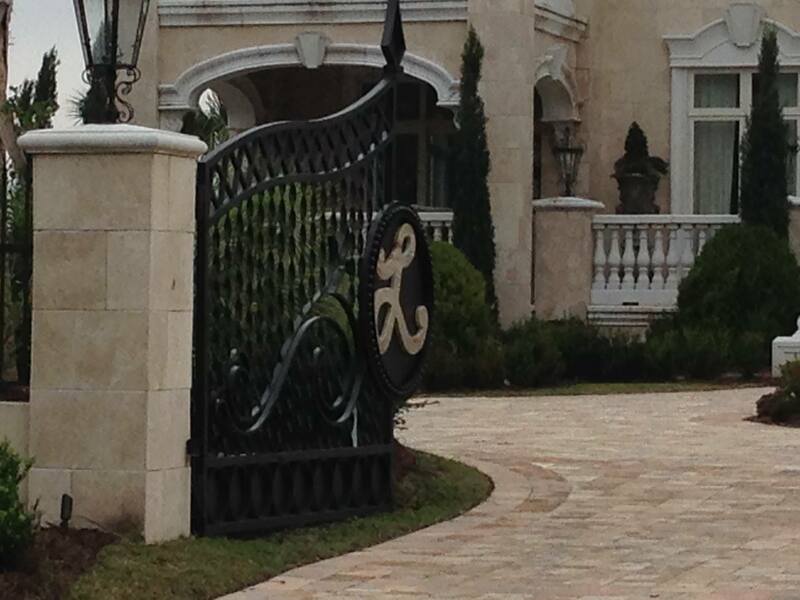 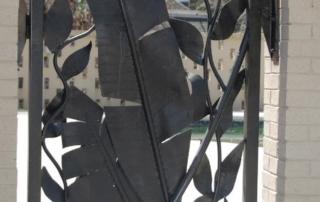 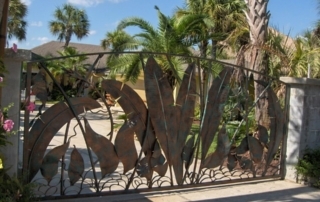 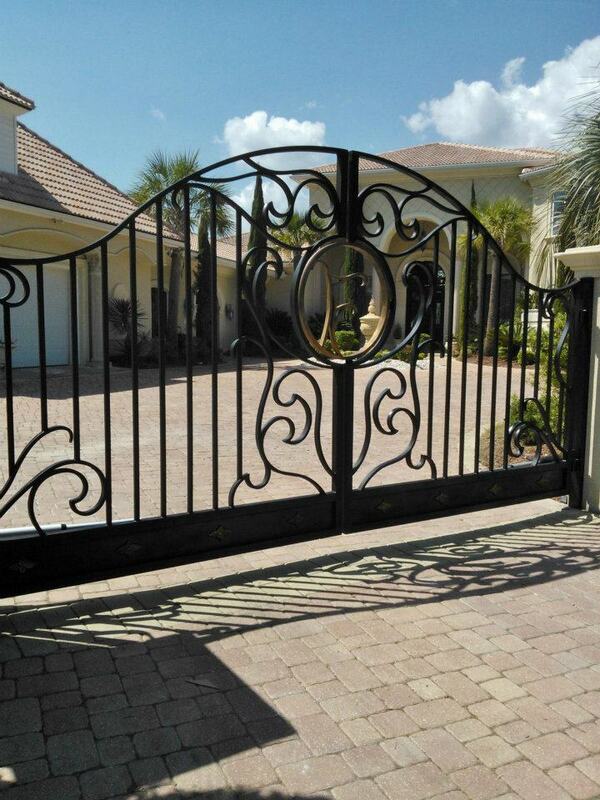 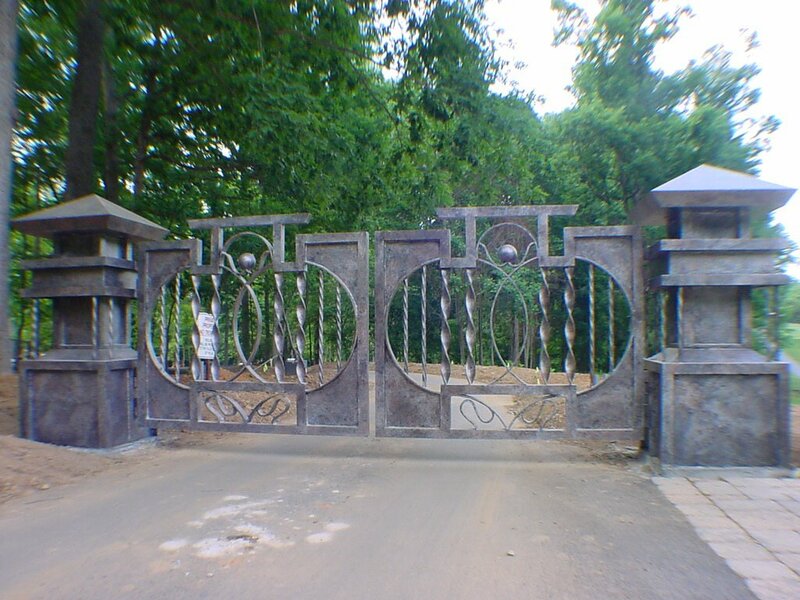 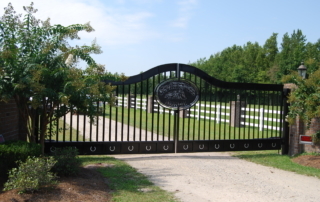 SADLEMIRE ENTRANCE GATES are all custom designed, built and impeccably crafted using only top quality products and materials to ensure a lifetime of lasting beauty. 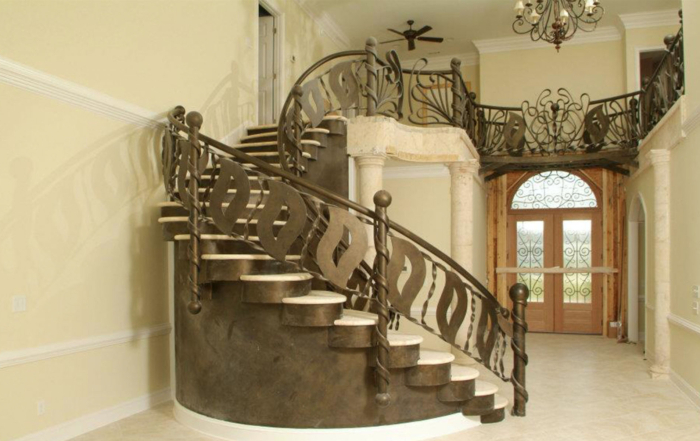 From classic to the contemporary, we work with each individual client encouraging their vision in creating a special creation for their home or commercial application. 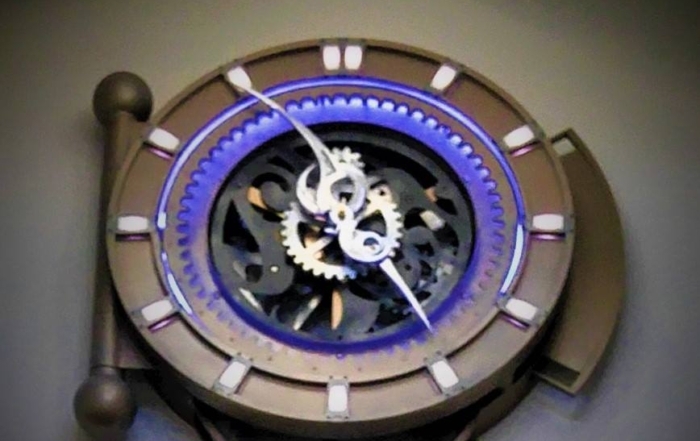 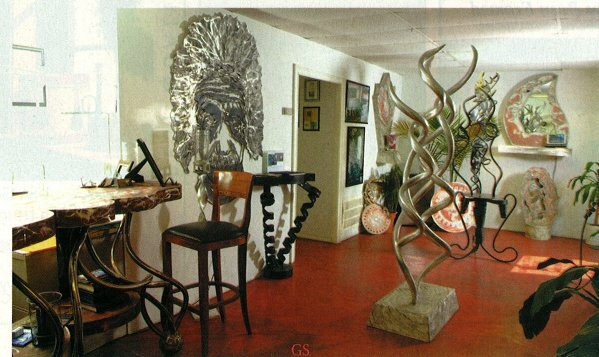 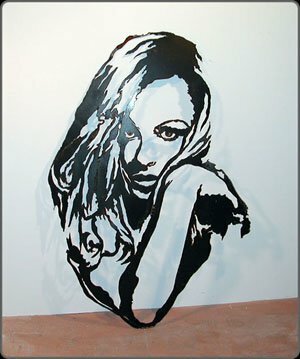 With over 30 years of experience Sadlemire’s unique signature look, is made with machines that he has built to twist and shape the metal for a unsurpassed look. 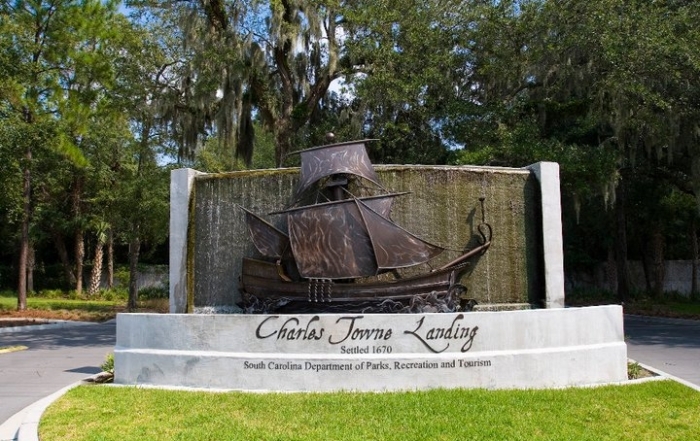 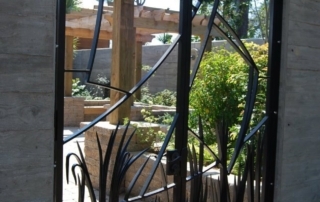 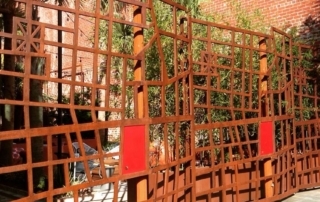 The final finish applications range from a hand wiped faux finish, to golden bronze, heavy black, raw aluminum or copper patina.